Lee Gil Ya, M.D. and founder of Gachon University Gil Medical Center captured the 1st Honam Future Forum Award in the education and medical service category. She is one of the prize winners at the 1st Honam Future Forum Award ceremony held at the Sejong Center in downtown Seoul on Jan. 17. Dongwon Group Chairman and founder Kim Jae-chul also won a prize. Among those on hand at the awards ceremony, which coincided with the 2017 New Year’s gathering sponsored by the Honam Future Forum, were Honam Future Forum Chairman Kim Jung-gil; Dongwon Group Chairman Kim; Gachon University President Lee; film director Im Kwon-taek; Superintendent Cho Hee-yeon of the Seoul Metropolitan Office of Education; Cheollanam-do Gov. Lee Nak-yeon; former prime minister Kim Hwang-sik; ex-supreme court chief justice Lee Yong-hoon; and Vice Speaker Park Joo-sun. Lee, also president of Gachon University, has been credited with devoting herself to providing medical services and fostering manpower during the whole of her life, based on her philosophy tenants – philanthropy, public service and patriotism. Mindful of the stark reality facing the poor’s medical care in the 1960s, President Lee inaugurated Korea’s first hospital that didn’t require money for hospitalization. The free medical service included uterine cancer tests for women, which Lee started when she opened her gynecology clinic. She now operates a free medical service team that conducts free volunteer medical services for residents of villages without doctors by touring remote islands on a regular basis. Lee has been running Gil Medical Centers in underserved areas as Yangpyeong, Cheorwon and Baeknyeong Island, despite chronic losses. True to her conviction, “Talented Manpower Development Means Medical Practice,” she established Gachon University Gil Medical Center in 1997. Gachon University Gil Medical Center has established itself as a major university hospital for a short period of time. It has become the nation’s sole university medical institution to giving scholarships to all university freshmen. In 2012, Gachon University became a “mega-university” by merging four universities — Kyungwon University, Gachon College Medical Center, Kyungwon Collge and Gachon Gil College. She also set up Hawaii Gachon Global Center, Korea’s first overseas university campus. 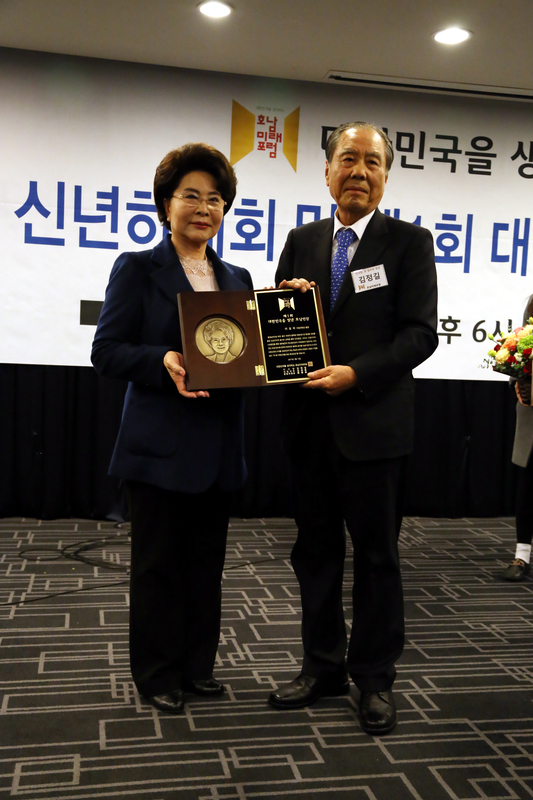 To realize the mission of the establishment of Gachon University Gil Medical Center, every year, President Lee presents the Gil Medical Service Award that she inaugurated in cooperation with the Korean Medical Women’s Association. The Gachon Cultural Foundation, established in 1991, carries out diverse cultural activities including the opening of cultural classes, presenting Shimcheong Filial Piety Awards, and holding the National Tea Ceremony Culture Show for touring cultural heritage sites. Of late, the foundation also sponsored the Gachon Lee Gil Ya art drawing contest for students in the Jeollabuk-do area. The Gachon Museum, established in 1995, is one of the nation’s largest medical museums, boasting about 55,000 relics, including National Treasure No. 276 (and 14 other national treasures) and 500 pieces of modern and contemporary medical equipment. The Gachon Michuhol Youth Volunteer Service Team, established in 1993 in Incheon, conducts volunteer activities ranging from visiting homes for the elderly and rehabilitation facilities, conducting campaigns to making overseas observation tours to putting into practice volunteer services. Gachon University Gil Medical Center is noted for braving challenges with a pioneering spirit. It has also made contributions to the development of basic medicine by establishing the Gachon University Neuroscience Research Institute and the Lee Gil Ya Cancer and Diabetes Institute. It has been credited for introducing the operation of the first air ambulance service and the completion of Cancer Center, with the most advanced medical facilities and staff members of Gachon University Gil Medical Center. Thanks to these efforts, Gachon University Gil medical Center was selected as one of the top three among 10 research-driven hospitals and made an achievement of being designated as the first regional trauma center in Korea.